I got this 8x10 glossy at the postcard show last month. On the back is the name and address of Jim Marshall. Jim was a very famous photographer in San Francisco. 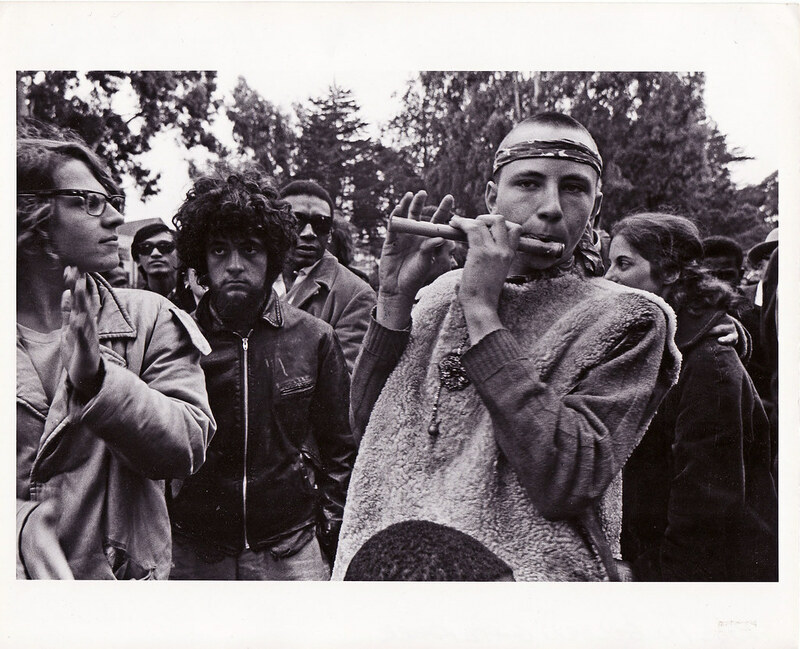 He documented all the bands and musicians during the 60's and 70's, mostly in the Bay Area.. He died recently, in March of this year. I have no idea how this picture ended up with that seller. I think this was the only one. I didn't know he was so famous when I bought it, but I am not surprised. I really like this image because I always love seeing the crowds in the shots from those 60's concerts. The title on the back is "Kids in Golden Gate Park". I was directed to your "We Make Zines" NING community vis a vis Robert Heaters comments on Artists Books 3.0 (on Ning) and wanted to see what you had set up there as regards members making donations through Paypal (or whatever other mean, s to keep it going and get the annual fee paid. I COULDNT ACTUALLY SEE ANYTHING WAS IT ALL DONE OFFLINE?? I am a member of Inkteraction (printmakers Ning community) and hope we can keep ours going too. Your community on Ning looks really friendly. TO BE ABLE TO invite people to make donations to the cause though their paypal account to mine or who ever we elect as 'treasurer' so to speak. Oooop just seen that you didnt take the photo but its still lovely! !